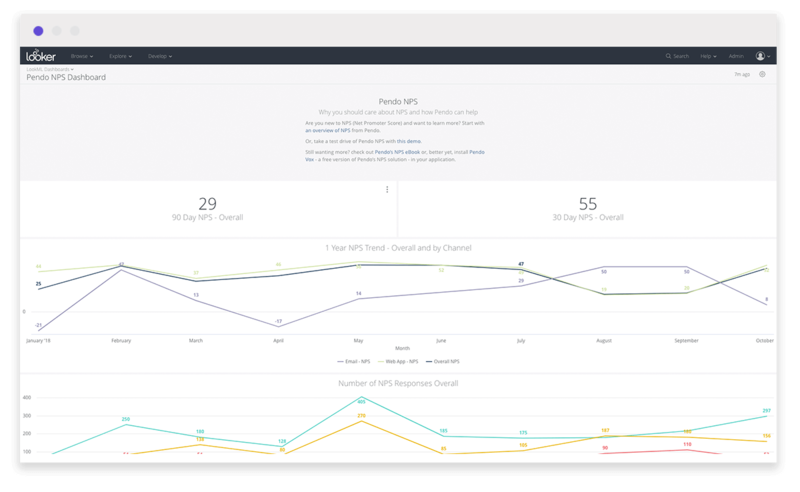 Pendo’s Net Promoter Score (NPS) offering makes it easy for businesses that have web and/or mobile applications to collect customer sentiment through a simple NPS survey. 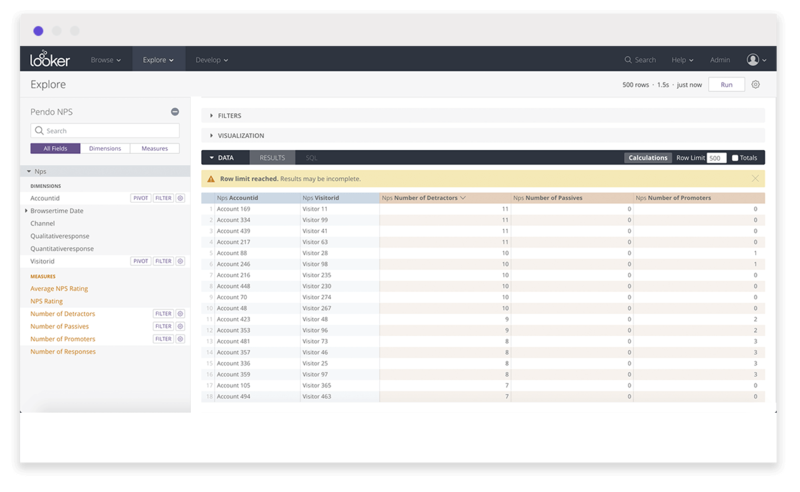 For companies using Pendo and Looker, this Block provides an at a glance view of NPS trends and qualitative feedback to understand and improve customer sentiment. 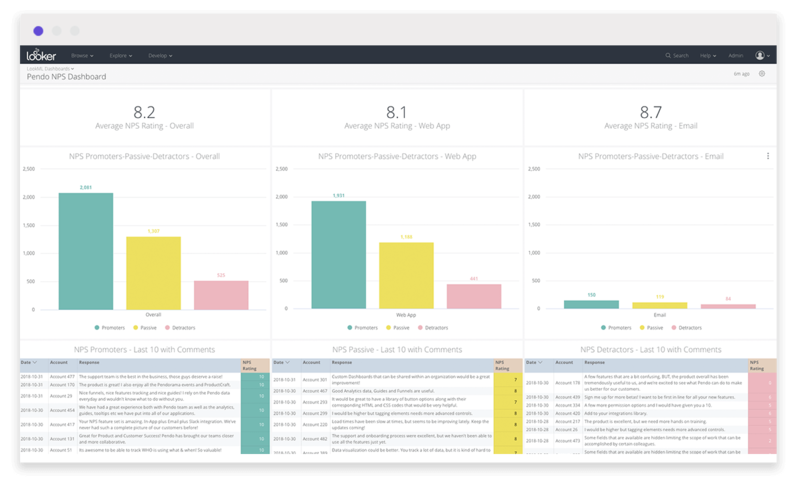 Visualize your current NPS score at a glance and compare that score to your 90-day lookback NPS score. See your NPS score by month for a running 1-year time period. If you use both the web and email surveys (i.e. channels) available in Pendo NPS, you will see the breakdown by channel as well as the overall trend. See the distribution of Promoters, Passive and Detractors that responded to your NPS survey. Review your NPS response rates overall and by channel for a 1-year lookback period. Explore variances in response rating by channel. Display your respondents’ qualitative feedback sorted by positive (Promoters), neutral (Passives) and negative sentiment (Detractors). Use customer usage data and qualitative feedback to inform your product direction, customer success strategy, marketing campaigns, and more.